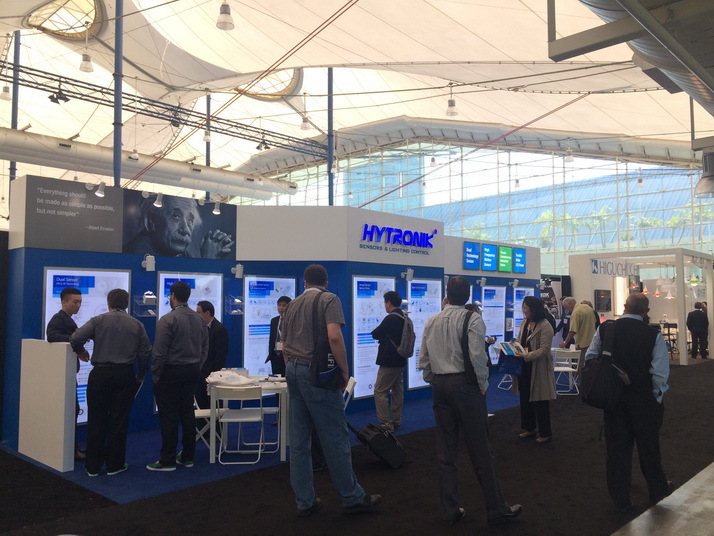 Hytronik successfully exhibited at one of the world’s largest annual architectural and commercial lighting trade shows, Lightfair International 2016, from April 26 through 28. During the fair, we took the precious opportunity to establish new relationship with potential customers and keep in touch with old friends, in the meantime, the innovative products were strongly launched as well, e.g. HF sensor, PIR sensor, daylight harvest sensor, dual sensor, tunable white LED driver, ect. Should any Hytronik product just be in your interest, please don’t hesitate to contact us! Can’t wait to see you again in the coming HK International Lighting Fair (Autumn Edition) 2016!